On the menu tonight were two beautiful pork chops from our foodshare. To complement them, we decided on a farm-fresh peach and capsicum pepper sauce. 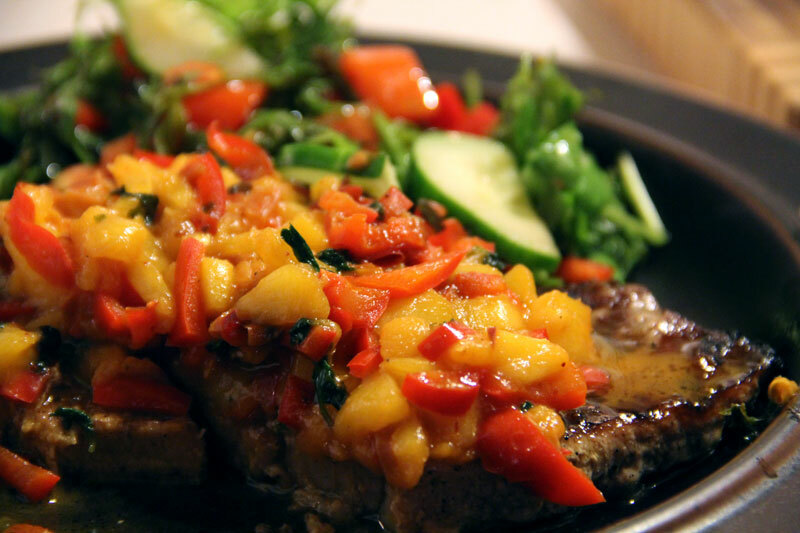 What’s great about this meal is that both the chops and the sauce are incredibly simple, quick, and easy to make, making this a perfect dish after a busy day at work that’s delicious, but also very healthy. Sometimes, the best recipes can come out of combining of a few of your favourite things. For me, I found recent inspiration in bacon and maple syrup and decided to apply them to lamb and some beautiful local seasonal root vegetables. 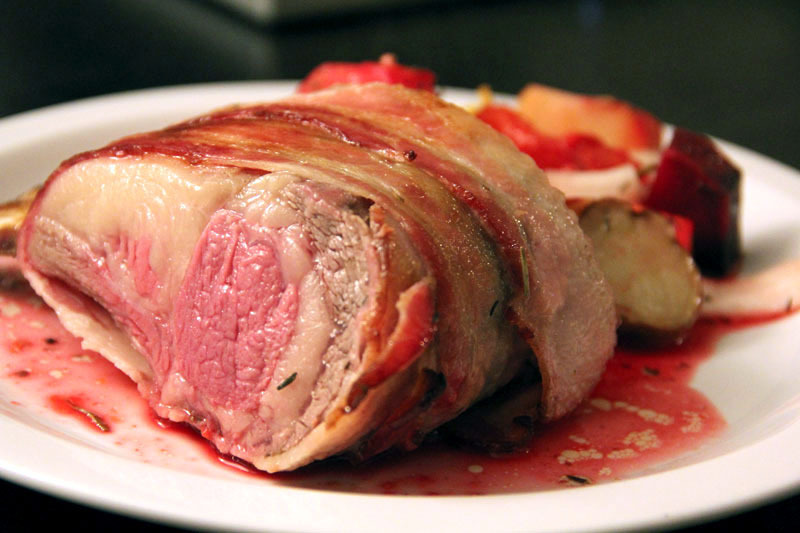 The outcome: a gorgeous bacon-wrapped maple rack of lamb on a bed of maple-glazed roast vegetables for four. Satisfying, delicious, and easy to make. It really doesn’t get better than that.